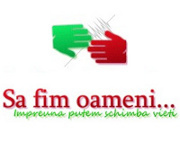 This entry was posted on 15 February 2015, 21:13 and is filed under Scrisori cu Fata de fragi. You can follow any responses to this entry through RSS 2.0. You can leave a response, or trackback from your own site. Atat de prea putin …..
poate…imi spui tu, unde sa parchez, daca ‘bolidul’ meu nu face cinste ‘palatului’ dvs..